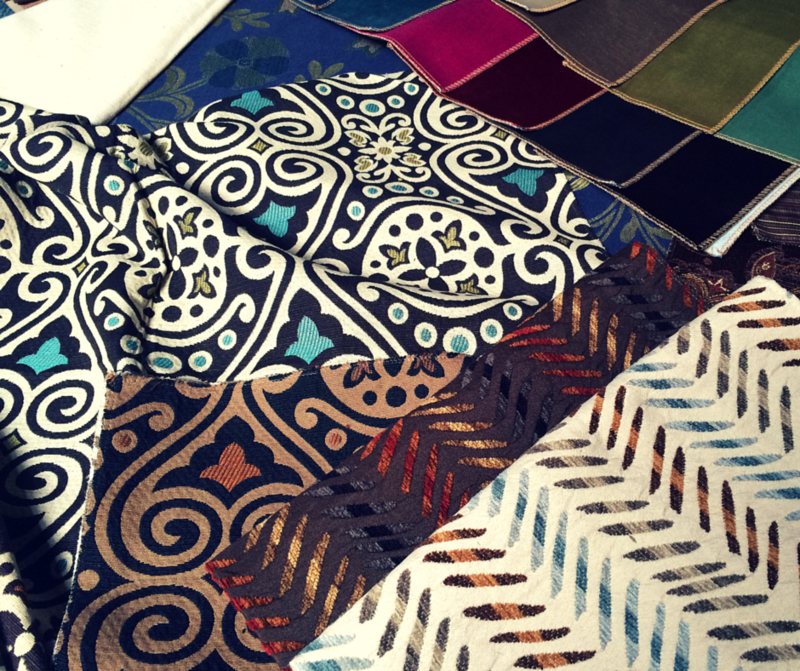 In this edition of Ask the Experts, we’re teaming up with Furniture Row Visual Merchandiser Barbara Chandler and talking patterns. A: With your color palette. Choose a main color and a few accent colors. Look for patterns that use at least two of these colors. “Get free swatches from wallpaper and fabric stores,” Barbara Chandler, store design and visual-merchandise manager from Furniture Row, advises. “Lay them in your room, then step back and look at them. Keep in mind where each patterns will go — the impact of the pattern will be magnified on a large surface, like a sofa or wall. Q: How do I know I’ve done it right? A: If you like it, it’s right. But if you’re nervous, Chandler says, “start small— with accent pillows on your sofa, for instance.” Many fabric companies offer preselected pattern sets that take the guesswork out of the process. 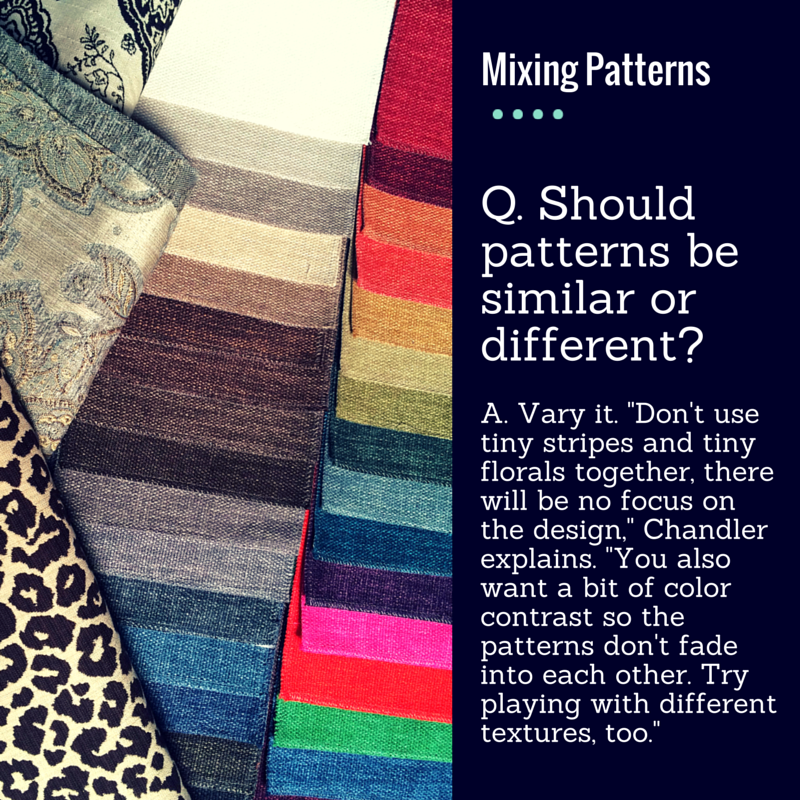 Q: Should patterns be similar or different? Q: Is it O.K. to mix stripes, plaids, florals and other patterns in a single room? A: Absolutely. “Mixing patterns is a great way to add energy and vitality to a room,” says Chandler. 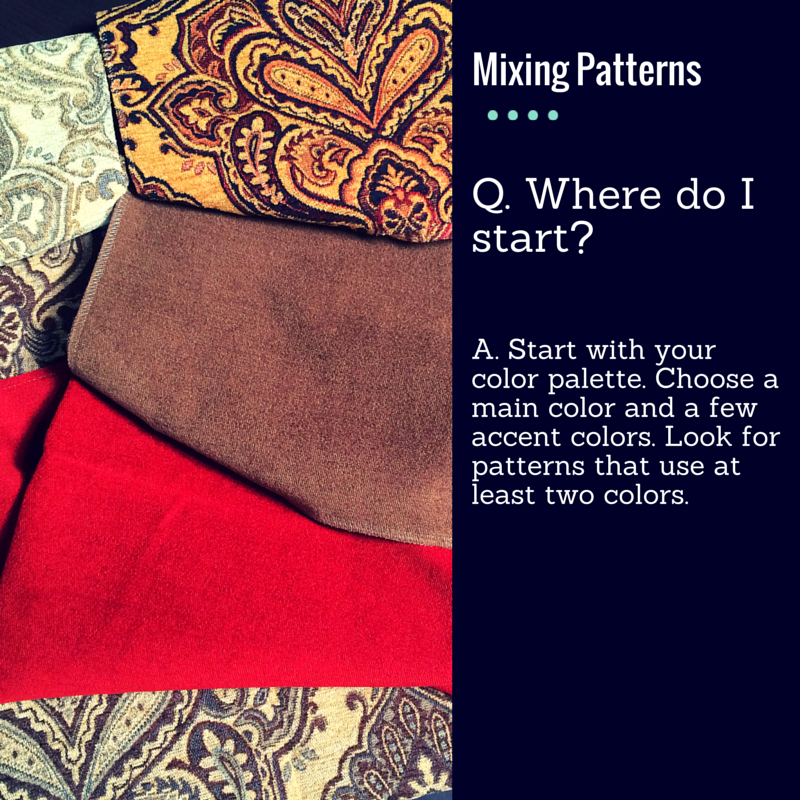 Q: How many patterns can I mix together? A: There are no rules, but too many patterns can become overwhelming. Odd numbers are generally more interesting to the eye, so three patterns is a good start. If things start to look too busy, use a solid color to strike a balance between patterns. A solid rug, for example, can help tie a patterned look together..
Q: Are there any patterns I should never mix together? A: Again, there are no formal rules But stripes may the most adaptable to different decors, and the easiest to harmonize with other patterns.